Memorandum of cooperation was signed by the president of Europe-Georgia Institute – George Melashvili and Director of Information Center on NATO and EU Nino Bolkvadze. 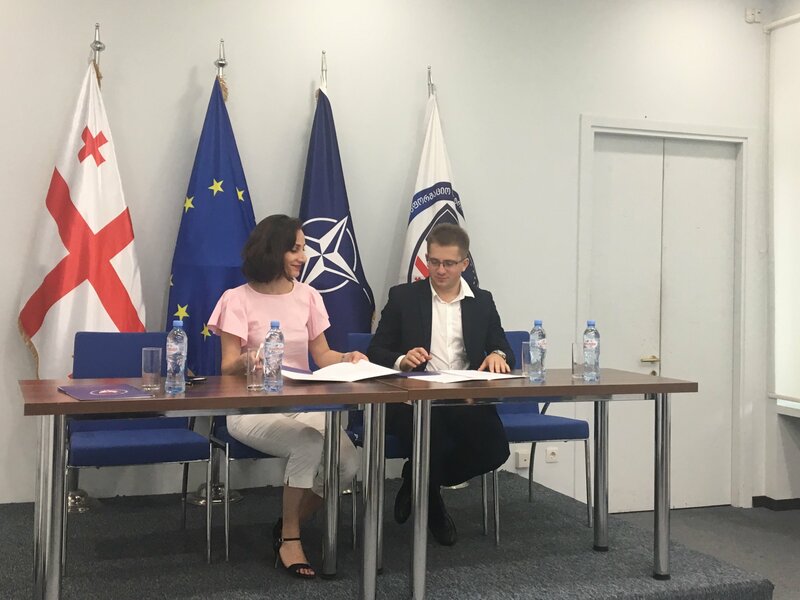 Europe-Georgia Institute has actively worked with the Information Center on NATO and EU. The last common project has carried out at Bazaleti Training Center. The project included lectures and educational games for winners of civil olympiad. We work with young people and have common goals. Thus, the aforementioned memorandum will strengthen our relations and we will organize more interesting projects together.